I don’t know about you, but it feels like Summer is already a distant memory. With the welcome of Autumn, there is a slight chill in the air, and the leaves are slowly changing from the luscious green to golden yellows, sultry amber, and rich reds. I realise that things have been a bit quiet on the blog lately, but we’ve been busy behind the scenes here at Couva HQ with lots of new and exciting things that we can’t wait to share with you. First, our snazzy new website and webshop is nearly ready! We can’t wait! Now you’ll be able to get your very own Couva products delivered right to your door, no matter where you live. Second, we’ve started to think about Christmas (shock! horror!). It’s only a matter of weeks until we’re going to be at the Taste of London Christmas show at Tobacco Dock from the 19th to the 22nd of November. Watch this space for more exciting Couva news! With the temperatures in Britain reaching a record-breaking 36.9oC yesterday, it really was one of those days where all you wanted to do was drink ice cold drinks all day long. By nature, I’m not an iced cold drink kind of person – I’m more inclined to drink lovely warm drinks, regardless of the weather. But today, it was hot… I mean HOT! And nothing but iced cold drinks would do. It got me thinking about the latest trend that is cropping up all over the place – cold brew coffee. What is cold brew coffee you ask? I’m not talking about the typical iced coffees we’ve seen in years past. Those frothy, whipped concoctions full of cream, flavours, and sugar. Even “iced coffee” that you see in high-street chains is typically hot-brewed coffee chilled and then poured over ice. Generally, the coffee is brewed much stronger to account for the ice that will ultimately dilute it. What you end up with tends to be more bitter and intense because of the extraction of the beans with hot water. What I’m talking about is “cold brew” – a way to brew coffee by steeping coarse coffee grounds in room temperature or cold water for about 18-24 hours. You end up with a concentrated coffee essence, which is generally diluted and served chilled. The lack of heat means that there isn’t the same harshness and acidity that you can get with hot brewing methods. As you might imagine, the process is much gentler to the bean, meaning that you end up with a much softer and sweeter brew, allowing for the subtle flavours of the beans to really shine through. 1. Put your ground coffee in the jar or pitcher. Pour the water over the top. 2. Stir gently to combine. 3. Cover it and let it sit for at least 8 hours at room temperature. Ideally, you’re looking to leave it for 18-24 hours to get a good, strong brew. The longer you leave it, the stronger the brew becomes. 4. Carefully, pour the mixture over a strainer into another pitcher or a large bowl. Clean your original jar or pitcher because you’ll need it again. 5. Carefully pour the strained mixture a second time into the clean jar or pitcher. 6. There you have it – Cold brew coffee concentrate! The 4 cups of cold coffee concentrate will make about 8 cups of iced coffee. This should keep in the fridge for up to a week (if it lasts that long!). You’ll want to dilute this before drinking, roughly 2 parts of water for 1 part of cold brew coffee concentrate (i.e. 2 cups of water + 1 cup of cold brew coffee). Add more or less water, depending on how strong you like yours! You can add some milk (almond, coconut, dairy) if you’d like, and something sweet to taste. You could even get really snazzy and create some really interesting coffee cocktails… coffee martini anyone?! And of course, if you just can’t wait 18-24 hours for an ice cold brew, there are many brands of ready-to-drink proper iced coffee now on the market. At the London Coffee Festival, I had the pleasure of trying a few. Personally, my fave from the show was Good Beans. Another really deelish off-the-shelf brew is Jimmy’s Iced Coffee. I have to be honest, I’m not entirely sure if it’s a cold-brew or simply a hot brew coffee made cold…Either way, it’s yummy! With some more hot & sweltering days on the way, why not give cold brewing a try?! If you do, let us know how you get on! Leave us a comment, or share with us on Twitter, Facebook, or Instagram! We’d love to hear from you! To all the mothers all over the world, I want to wish you a very happy mother’s day! We wouldn’t be here without you! And a very special mention to my mum… she’s really very super and has instilled in me the love of all things creative and delicious in this world! 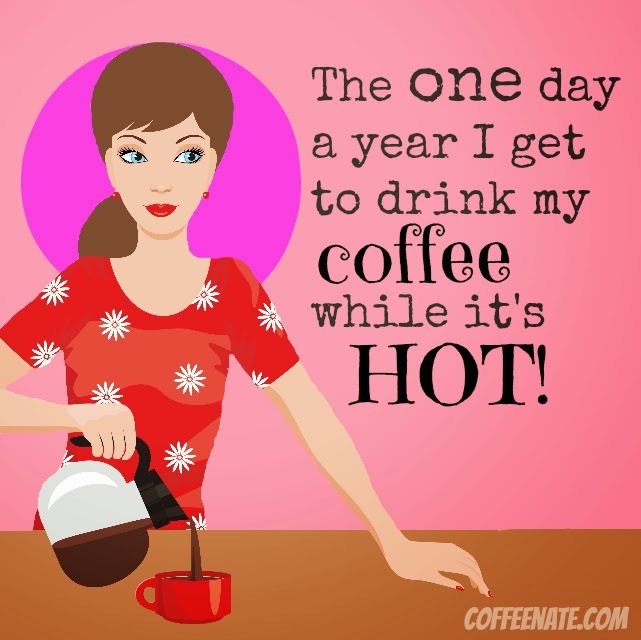 For many mums, hot coffee is distant memory. The moment a cup is poured, some distraction or other comes along. Mother’s day, for many, is the one day of the year they can enjoy a nice HOT cup of coffee. But, have you heard of some pretty snazzy little cup covers that keep coffee hot for up to 60% longer? The really cute ones in great fabrics that can fit on mugs or takeaway cups? gift card perfectly (*hint hint!!)? They keep hot drinks hotter for up to 60% longer – seriously. The loyalty card pocket is a perfect place for a gift card to mum’s favourite cafe! They protect fingers from hot drinks. Forget those horrible cardboard sleeves! Our webshop is coming any day now! I’ll keep you posted. Coffee that is out of this world… literally! I loooove coffee. I really do. But there are sometimes that I feel that my love of the bean pales in comparison to the love some others feel for their brew. 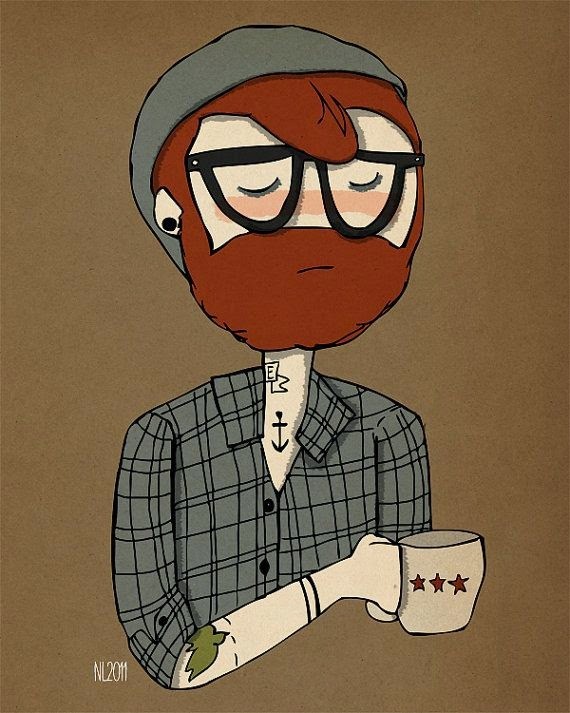 For instance, there were some people at the London Coffee Festival who were SERIOUS about their coffee… I mean “not interested in frothy milk on top because it gets into my hipster beard, the-darker-the-better, I know where the beans were harvested just by vaguely sniffing them” kind of intensity about their coffee. But even these coffee aficionados pale in comparison to Italian astronaut Samantha Cristoforetti. Not only was she the first female Italian astronaut, but the astronaut to drink espresso in orbit. How out of the world is that?! Up until now, astronauts have had to make do with instant coffee. And when you think about it, space isn’t really the best place to be attempting to create the perfect brew using a high-pressure machine full of steaming hot water. No problem thanks to the ISSpresso – a specialist coffee machine designed expclusively for use in space, and was delivered to the International Space Station last week. Using a regular coffee pod capsule, the ISSpresso makes the coffee by circulating hot water through a system of specially designed pipes. Once brewed, the coffee ends up being contained in a pouch with a straw (much like a drinking box! ), allowing the astronauts to enjoy delicious real espresso, like you would on any piazza in Florence! The ISSpresso was an extensive collaborative project between Italian coffee comapny Lavazza and engineering firm Argotec. Read more about the ISSpresso machine and the cups used by the astronauts on the NASA blog. Now, I wonder if they have any problems keeping their coffee hot up there in space?! A future collaboration between Couva and NASA in the future?! London Coffee Festival 2015 – Are you going?! This week sees the return of the London Coffee Festival, taking place at the Old Truman Brewery from April 30th to May 3rd, 2015. Are you going?! You should! This year promises to be bigger and better than last year – and that’s saying a lot! Last year and years previous have been fantastic! Couva Coffee Couture were fortunate to have a space at the Festival last year, and it was an incredible show. The buzz was indescribable… Maybe it was the caffeine (ok, probably the caffeine!). Maybe it was the impressive array of roasters from the BIG guys like Starbucks and Costa, through to the smaller guys like UE Roasters and Pact Coffee, right down to the even smaller guys like Round Square Roasters (have you tried their “Whiskey Cask Coffee”?! Seriously yum!) . Maybe it was the variety of teas available from people like The London Tea Company, and our faves, The Brew Tea Company. And we mustn’t forget to mention the wonderful music and food and the coffee-inspired cocktails and chocolate and industry people and…. You get the picture! If you are a coffee connoisseur, it’s definitely a show that you do not want to miss! If you want a review of the show last year, check out our review from 2014. Although Couva won’t be exhibiting this year (thanks to the new-ish arrival of the youngest member of the Couva Crew – 4-month-old Gray! ), we will definitely be visiting! PS: Watch this space for reviews of the show! The buzz was indescribable… Maybe it was the caffeine (ok, probably the caffeine!). Maybe it was the impressive array of roasters from the BIG guys like Starbucks and Costa, through to the smaller guys like UE Roasters and Pact Coffee, right down to the even smaller guys like Round Square Roasters (have you tried their “Whiskey Cask Coffee”?! Seriously yum!)Â . Maybe it was the variety of teas available from people like The London Tea Company, and our faves, The Brew Tea Company. And we mustn’t forget to mention the wonderful music and food and the coffee-inspired cocktails and chocolate and industry people and…. You get the picture! Â If you are Â a coffee connoisseur, it’s definitely a show that you do not want to miss! Although Couva won’t be exhibiting this year (thanks to theÂ new-ish arrival of theÂ youngest member of the Couva Crew – 4-month-old Gray! ), we will definitely be visiting! I’ll admit it… I’m a BIG fan of Martha Stewart, and I have been for years. There, I’ve said it. I’m out of the closet! Ever since the insider trading scandal she was involved in a few years ago, it feels slightly taboo to be an uber-fan of Martha and her perfect ways. When we lived in Canada (many moons ago! ), I used to watch her TV show religiously. I would follow her website, lust after her products on the shelves of our local department store, and dream up reasons for buying her range of crafting supplies (who doesn’t need a paper crimper or a stamp in the shape of a hummingbird?!). I’ve always been inspired by her recipes, her decorating ideas, as well as her idealist ways of housekeeping… anyone can dream, right?! But since moving to the UK 9 years ago, I’ve been slightly more removed from Martha both geographically, but also social media-ly (is that a word?!) as she is considerably less well-known here in the British Isles. However, I stumbled across her again today, and I think I’ve fallen back in love. While searching for some new coffee-related tidbits of information to keep on top of the latest ‘goings on’ in Coffee Land, I stumbled across a page on the Martha Stewart website that I didn’t really new existed…. A page dedicated to all things coffee**! We’re talking 125 recipes, 13 articles, 56 videos, and 1 gallery devoted to coffee… all by Martha… I’m in heaven! And, oh my! Coffee Meringue Ice Cream Cake…. Yum! There are also some great tutorials (like how to make Tiramisu) and in-depth information about things like iced coffee, which is oh-so-trendy right now. I’m also quite partial to the Coffee Diaries. Each entry is a short interview with a coffee aficionado, asking them to share such inside info like their favourite brewing method or what is their morning coffee ritual. This treasure trove of coffee goodies is going to keep me entertained for quite a while! I hope you enjoy it as much as I am! The weather forecast for Oxfordshire this weekend is sunny and warm (or at least sunny and warm by English standards!). After months of grey damp drizzle, the prospect of a few glorious days almost makes me giddy. I don’t know about you, but the coming of Spring gives me such a boost of energy and enthusiasm and, literally, a spring in my step. It makes me think of getting out in the garden, of throwing open all of the windows in the house, of lazily basking in the sun as it streams through the window while enjoying a very, very lazy brunch. What does a sunny, warm weekend mean for you? Whatever you get up to this weekend, I hope you take a few moments to soak up the goodness in life around you. Couva Coffee Couture… Keeps coffee hotter for longer so you can enjoy the goodness of life for longer! Everything looks so soft, so perfect… and so cold! It brings back fond memories of growing up in Southern Ontario in Canada where every day in winter looked like this. Now that we’re in the UK, snow is such a wonderful novelty, that our family is desperate to go out an enjoy the fun that a snow day brings! And there is nothing that goes more perfectly with a frosty, cold, winter’s day than a big mug of deliciously warming hot chocolate…. preferably with whipped cream and marshmallows on top! I know that the post for our “Ultimate Hot Chocolate” recipe was only written in October, but I just have to re-post… there couldn’t be a more perfect day for it! It really is THE best hot chocolate you have ever tasted. It’s creamy, smooth, and totally luxurious… Yum! You can make changes to this recipe based on what you have available in the kitchen or based on how intensely chocolatey you like your drink. But it’s really so easy, that however you make it, it’s going to be gooooood! Warm up the milk over medium heat until there is steam coming up from the top of the milk, but be careful that it doesn’t come to a boil. Sprinkle in the Ovaltine and carefully drop in the pieces of your chocolate bar. Grab a whisk or wooden spoon and stir continuously until all of the chocolate melts. You want to try and keep the chocolate moving once you first put it into the hot milk so that it doesn’t stick to the bottom of the pan and burn. Remove from heat and pour into 4 mugs. Garnish with a few dollops of gorgeous Vanilla Whipped Cream (see below), a few marshmallows and a sprinkle of some chocolate shavings or some chocolate Ovaltine powder. Mix together the cream, vanilla extract, and sugar. Whip on high until the cream starts to thicken. Be careful not to overwhip the cream or it will start to get clumpy, and clumpy cream just isn’t nice! You want to stop whipping when you’ve got some soft peaks, but the cream mixture can still be easily stirred. This Vanilla Whipped Cream is amazing on all sorts of things – cafe latte, cappuccino, apple crumble, or even just a spoon! *You can also use this Ultimate Hot Chocolate to make the most amazing Cafe Mocha. Simply fill your mug half-way up with the hot chocolate, and fill the rest with your favourite freshly-brewed coffee. Again, top it with some Vanilla Whipped Cream and chocolate shavings… You’re going to love it! Keeps your coffee (*or hot chocolate!!) hotter for longer!